Jennifer Oxman Ryan is a senior project manager and researcher on Project Zero’s Pedagogy of Play (PoP) initiative. Funded by the LEGO Foundation, PoP is engaged in playful participatory research methods to investigate playful learning and what it means to embrace play as a core resource for how children learn in school. Jennifer has been with Project Zero since 2006, having worked previously on Agency by Design, the Good Play project, and Qualities of Quality: Excellence in Arts Education and How to Achieve It. Her current research interests include play, arts and maker-centered education, school/community partnerships, and professional learning communities. 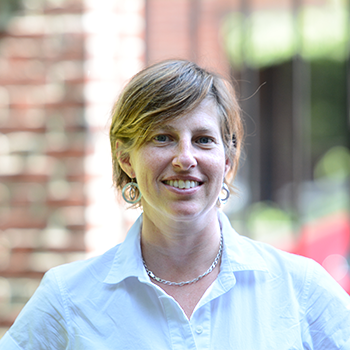 Jennifer co-designed and co-instructed PZ-HGSE’s online course, Teaching and Learning in the Maker-Centered Classroom, exploring the promises, practices, and pedagogies of maker-centered learning. She has published in various venues, and her recent book Maker-Centered Learning: Empowering Young People to Shape their Worlds was published by Jossey-Bass in 2016.